Samples analyzed by the FDA also found salmonella that did not show up in Sunland's internal testing. FDA inspectors found the bacteria in nearly 30 environmental samples. Investigators determined Sunland employees did not properly handle equipment, utensils and containers used to hold and store food. They say there were no sinks to wash hands in the production or packaging area. They also noted that employees handled ready-to-package peanuts with their bare hands. According to the FDA, there were no records providing proof that production equipment was cleaned, and the same bags were used to store both raw and roasted peanuts. Raw peanuts were also found outside the facility in open trailers exposed to birds and rain. "FDA has inspected the Sunland facility multiple times over the past several years, to help ensure compliance with food safety guidelines," said Pat El-Hinnawy, a spokeswoman for the organization. "These inspections have not only uncovered several violations of FDA food safety requirements, they have also helped limit the impact of the company's contaminated product. In March 2012, FDA was proactive in issuing salmonella sampling guidance for industry, to help reduce the presence of this pathogen in the U.S. food supply. It is the responsibility of food producers and processors to put into practice the steps laid out in the guidance." Sunland first voluntarily recalled their almond butter and peanut butter products on September 24, 2012. On October 4, they expanded the recall to include all products made in that plant after March 1, 2010. To date Sunland has recalled a total of 240 products. According to the Center for Disease Control and Prevention, 41 people have been infected in 20 states, most recently New York, North Carolina and Virginia. "At no time in its twenty four year history has Sunland, Inc. released for distribution any products that it knew to be potentially contaminated with harmful microorganisms. The Company has followed internal testing protocols that it believed resulted in the isolation and destruction of any product that did not pass the test designed to detect the presence of any contaminants. In every instance where test results indicated the presence of a contaminant, the implicated product was destroyed and not released for distribution. The Company believed at all times that its response was sufficiently robust such that any product which might be contaminated was isolated and destroyed." Shearer says they plan to continue cooperating with the FDA and have already submitted a response to the agency addressing each issue of concern. While the number of new cases is declining, health officials still caution consumers to avoid eating any of these products, especially children under age 5, the elderly and those with compromised immune systems. Since these products have a long shelf life, they could still be in people's homes. A complete list of recalled products can be found at http://www.fda.gov/Safety/Recalls/. Mr. Peanut does not approve. Quit playing with your Peanuts ! If you have that bad of a food born allergy, what the he11 are you doing eating pre-packaged foods to begin with? To ticktick: WHU?? 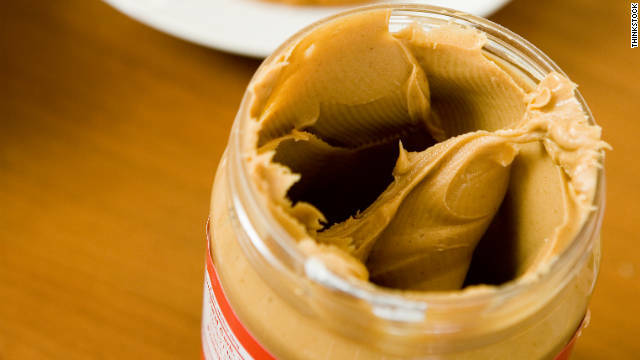 What does having a peanut allergy have to do with salmonella bacteria? Your post makes absolutely NO sense! One of my sons came close to death during an outbreak in Peter Pan peanut butter a few years ago. It is scary stuff. Let's get rid of all federal regulations and let companies regulate themselves!!!! GOPtard. And this is why the government should stop regulating industries! Cleaning up this mess will impact profits. Mandatory Salmonella Vaccinations next ? GMO antibiotic emitting peanuts to be developed, but not labeled ? I live within a stone's throw of the plant in question, they are currently requesting a break on the cost of dumping those tainted peanuts in the landfill. What a crock. Poor business practices combined with greed. Such is the end of the American empire!!! it's in new mexico learn how to read einstein. Yo, Jon: Learn little geography and a little history, why not? NEW Mexico the 47th state inducted into the United States in 1912, just before Arizona. If you care to look at a map NEW Mexico fills up that large space between Texas and Arizona. We have two top secret UNITED STATES research facilities, Los Alamos National Labs (where the atomic bomb was invented), and Sandia National Labs. The Santa Fe Railroad was named for Santa Fe, NEW Mexico. We speak English. We use US dollars for money. You don't need a passport to come visit (but please don't, you are too dumb). You can always trust food producers to never put anything in that product that's not good for you, right? Always been a fan of Neil Howard especially when tannriig for W. Farish. Scored some big wins for me back in the day. Would like to see Machen run a big race. If so, moving on to Kentucky. Never ran as a 2 yr. old. History is not on his side for the derby. But the LA Derby is another story.